To be the best you’ve gotta train with the best, so we sent our Onyx Spirit Wizard Pete down to the Tasmanian Whisky Academy to do just that. Learning from industry legend Alan Barclay and his team of distillery experts, Pete was sufficiently plied with knowledge, skills and the all-important good stuff to keep him firing for the week. We saw some snaps of your journey mate. Tell us more about Alan and the academy? Alan’s been in the brewing and distilling industry for over 37 years, and has been the head of the IBD (Institute of Brewing & Distilling). The Tasmanian Whiskey Academy is fairly new and has only been operating for a year. It brings highly qualified experts and mentors to Australia to teach young distillers. I spent the week being trained by Allan at two distilleries – Starward in Port Melbourne and Craft & Co. on Smith St in Collingwood. Spending a week training with Alan was great, he was very giving with his knowledge and expertise which has definitely improved my ability as a distiller. Any specifics that improved your abilities? Geeking out with the guys at Starward on maturation was fantastic, they were an open book – generously sharing their experiences and knowledge. We also did a mountain of theory work, got our hands dirty in the distillery and drank plenty of whisky. All in the name of art and science of course! 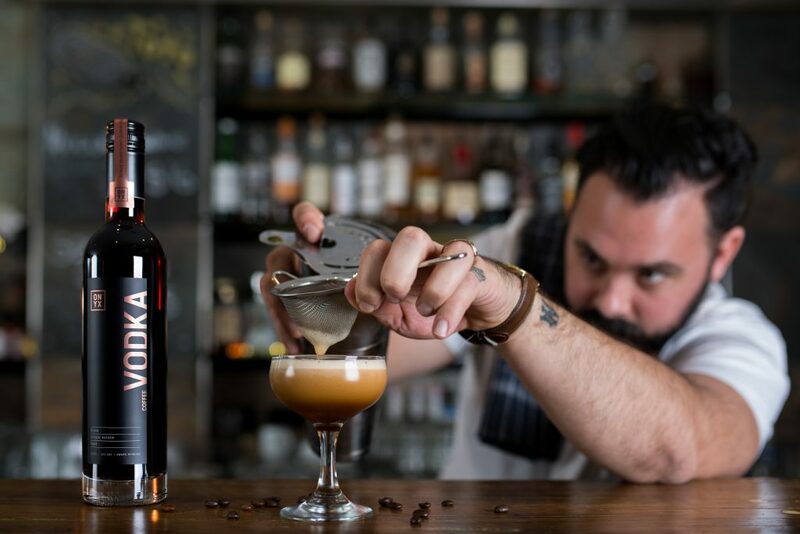 Where does this position you on your journey to becoming Australia’s best young distiller? With a thirst (pardon the pun) to continue learning, experimenting and innovating. How was the academy applicable to your work at Onyx? Distilling with Onyx has been fundamental in my progression as a distiller. Working alongside a team who constantly innovate has been very special and to bring the skills back to the Central Coast and apply to our distillery process will be super beneficial. What / who inspires you as a distiller? What was the best thing you tasted? A 2003 single cask single malt distilled by Alan himself. What was so good about this distillery course? It is now the first piece of formal training available in Australia leading to international accreditations. A huge step forward for us as a nation of top spirit distillers. Can you comment on how this is progressing Australia as a distillery force to be reckoned with? Four years ago there were about 30 distilleries in Australia, this year there’s just over 100. After spending my time at the course with upcoming distillers, I’m sure there’ll be another 20 in the next few years. It’s very early days in the Australian distilling industry but we’ve already been awarded the best in the world in many of our category’s. For me, there’s a lot of exciting times ahead, both with Onyx and across the Aussie distilling landscape.